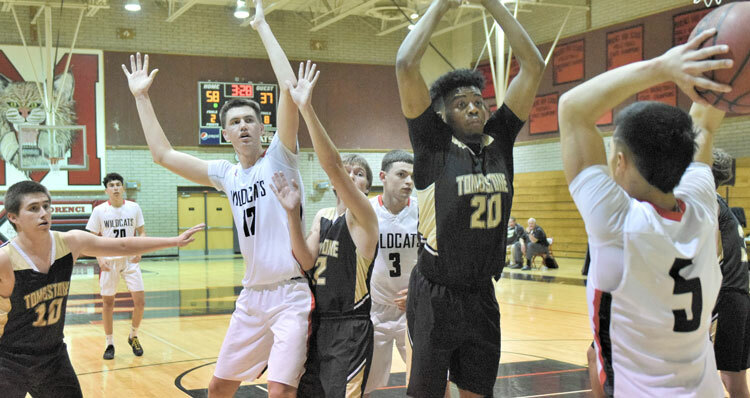 Raymundo Frasquillo Photo/Gila Herald: Jordan Leonard, right, looks to inbound the ball as fellow senior teammates Ryan Hayes (20), John Olmsted (12), and Matthew Silvester (3) await the pass. Defending are Tombstone seniors Anthony Duran (10), Nathan Snider (22), and Maxzell Blackwell (20). The Wildcats prevailed 65-42 to end as 2A East Region Champions on Senior Night Feb. 1. MORENCI – The Morenci Wildcats earned the 2A East Region title with 62-33 and 65-42 wins over the Bobcats in Benson on Jan. 31 and over the visiting Tombstone Yellow Jackets on Feb. 1, respectively. 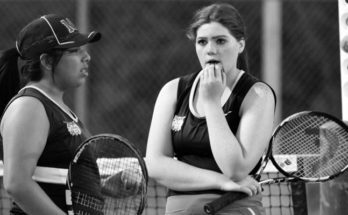 The 11-1 mark earned the Wildcats a bye into the semifinals and the host role for the region tourney semifinals Thursday, Feb. 7 and final Friday, Feb. 8. 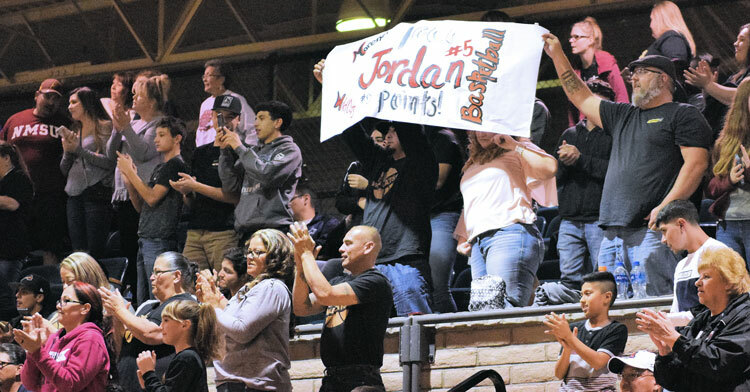 Raymundo Frasquillo Photo/Gila Herald: Home fans acknowledged two senior team members, Jordan Leonard and John Olmsted, both recording career scoring milestones against Tombstone. The pair attained 1,000 points on Senior Night Feb. 1. Round one begins Tuesday, Feb. 5, with the lower seeds visiting the higher seeds. Each of the other six member teams will take part; No. 7 Tombstone (2-10) at No. 2 Thatcher (11-1), No. 6 Willcox (2-10) at No. 3 Pima (8-4), and No. 5 Bisbee (4-8) at No. 4 Benson (4-8), all with 6 p.m. starts. The semifinals Thursday have the winners, No. 7-2 versus No. 6-3 at 5 p.m. and No. 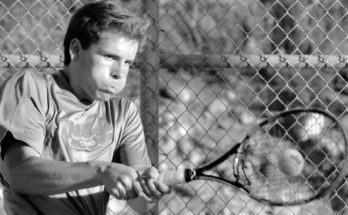 4-5 versus Morenci at 7 p.m. The final is slated for Friday, with a time to be decided this week. 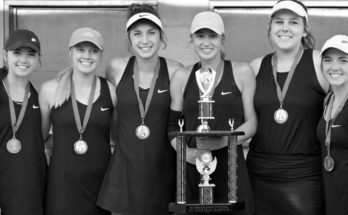 The state play-in tourney for No. 9-24 begins next week with the higher seeds as hosts. The winners advance to the 16-team state met in Prescott. Through 12 region contests, the Wildcats had a combined 71 (135-189) free throw percentage compared to 63 (65-104) for opponents. Individually, percentages are 81 (42-52) for senior Jordan Leonard, 75 for both sophomore Maddux Martinez (9-12) and Jordan Reyes (3-4), 71 (38-54) for senior John Olmsted, 69 (18-26) for senior Ryan Hayes, 63 (5-8) for senior Matthew Silvester, 61 (11-18) for freshman Christian Mutengelo and 56 (9-16) for sophomore Steven Shawn-Michael Chavez Jr.
Raymundo Frasquillo Photo/Gila Herald: Morenci senior Jordan Leonard connected on 4-5 free throws in the Wildcats’ final regular season region contest. His initial field goal of the game, a 3-pointer tied the score at 3-3 with 3:17 elapsed in the game with Tombstone and set a personal career scoring milestone of 1,000 points. He netted 20 points and his 12-game region free throw percentage was 81 (42-52). There were two ties in the opening period, at 3-3 with 4:43 left and at 12-12 with 1:03 left, and seven lead changes before a pair of Olmsted free throws gave the Wildcats the lead for good with 58 seconds left. The Wildcats led by six points, 18-12, following the opening period, by eight, 24-16 at halftime and by 13, 44-31 at the start of the fourth period. Career scoring milestones were attained by both Leonard, with his initial field goal of the evening, and by Olmsted with the Wildcats’ initial field goal of the second period. A commemorative basketball was presented to both following the Senior Night game. Morenci totaled 25 field goals (four 3-pointers) plus 11-14 free throws compared to 14 field goals (nine 3-pointers) plus 5-5 free throws by Tombstone. Leonard netted 20 points on seven field goals (two 3-pointers), Olmsted 15 points on five field goals plus 5-6 free throws, and Hayes 12 on five field goals (two 3-pointers). Chavez added eight points, Martinez six and both Mutengela and Silvester two. 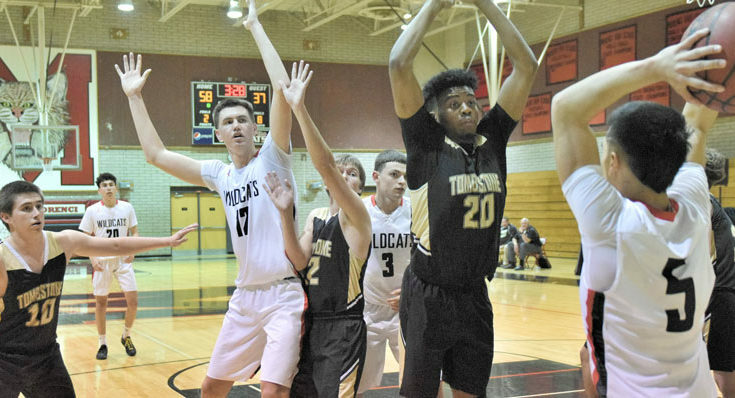 Tombstone seniors Anthony Duran and Tyler Cepero had 12 points apiece, on four 3-pointers and on three 3-pointers plus 3-3 free throws, respectively. Sophomore Ernest Withers added seven points, senior Nathan Snider five, and senior Maxzell Blackwell, junior Gustavo Morales, and senior Alex Osborne two apiece. 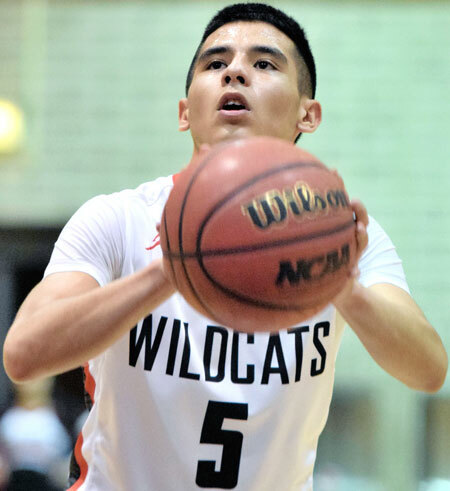 Raymundo Frasquillo Photo/Gila Herald: Morenci senior John Olmsted concentrates on making a free throw, connecting on 5-6 against Tombstone. His first two gave the Wildcats the lead for good, 14-12 with 58 seconds left in the first quarter. 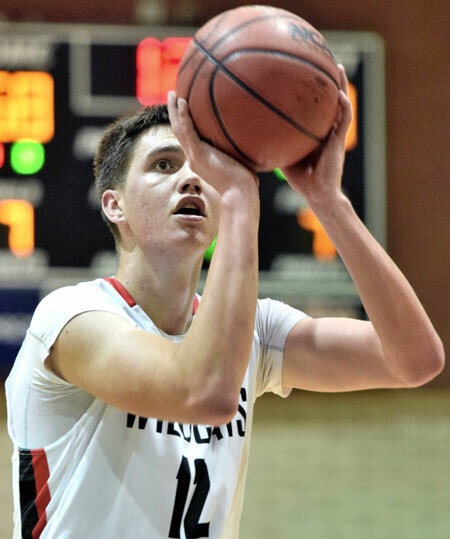 Olmsted’s initial field goal of the second quarter, on a rebounded tip with 1:17 elapsed, gave the Wildcats a 20-14 advantage and set a personal career scoring milestone of 1,000 points. He had 15 points and his 12-game region free throw percentage was 71 (38-54). The Wildcats took a 21-4 opening period lead and added double-digit scoring in the other three periods for the win. The visitors led 33-14 at halftime and 50-26 at the start of the fourth period. Morenci totaled 26 field goals (six 3-pointers) plus 12-20 free throws versus 13 field goals (two 3-pointers) plus 5-8 free throws by Benson. Hayes notched a game-high 20 points on seven field goals (three 3-pointers) plus 3-4 free throws, Leonard 15 on four field goals (one 3-pointer) plus 6-9 free throws, and Olmsted 10 on four field goals (one 3-pointer) plus 1-4 free throws. Martinez added eight points, Silvester four, Chavez three, and Mutengela two. Benson senior Alvaro Montoya had 13 points on five field goals plus 3-4 free throws. Senior Jay Haro added nine points, junior Hayden Jacobson three, senior Kassiah Ross and juniors Dante Harris and Joe Lutz two apiece, and juniors Diego Nikitas and Talon Palmer one each.